It’s the month when food-laden parties, festive dinners and holiday sweets piled up at the office can tempt even the most disciplined of us to cast aside healthy eating habits and decide to deal with the consequences in January. Armed with know-how and a game plan, though, December’s calorie minefield doesn’t have to completely undo your diet, or add inches to your waistline. Hone your holiday eating skills by taking this quiz (don’t look ahead at the answers). 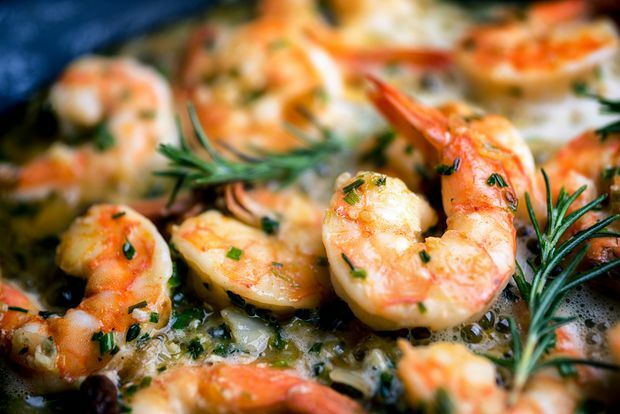 Shrimp scampi: Jumbo shrimp sauteed with oregano, chive, rosemary, garlic and paprica. 1) Which glass of holiday cheer delivers the fewest calories? 2) Holiday hors d’oeuvres can deliver a meal’s worth of calories, or more, if you’re not careful. Which one is the lightest choice? 3) True or False? When you’re dining at family or friend’s home, you can’t control the foods you eat. 4) Undercooked turkey meat isn’t the only food that can cause food poisoning – stuffing can too. At which temperature is stuffing safe to eat? 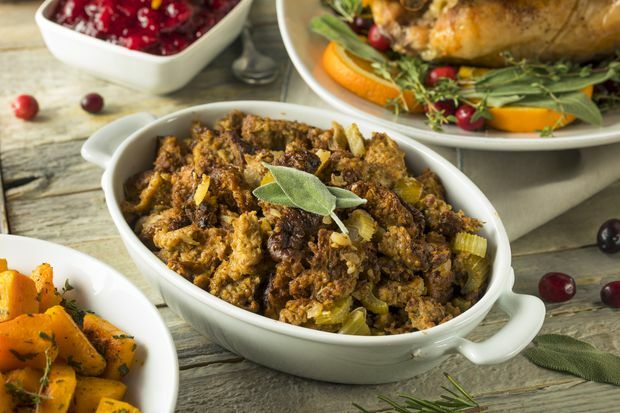 Homemade organic stuffing with sage herbs. 5) True or False? Forgoing the turkey skin is a smart way to cut fat from your holiday meal. 6) If you’re going to indulge your sweet tooth, which holiday treat is the lowest in calories? 7) True or False? A workout, here and there, won’t make a difference to December’s calorie minefield. 8) True or False? You’ll lose those extra holiday pounds in January. 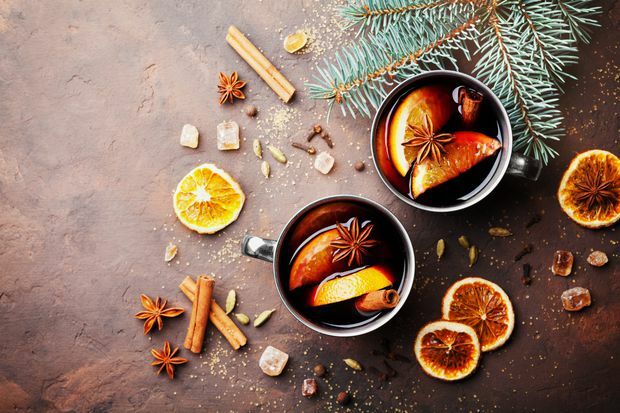 Christmas mulled wine with spices and orange slices. 2) Answer: c. The lowest calorie choice, and one that delivers satiating protein, is the shrimp at 57 calories. Runners-up include sushi (4 pieces, 200 calories) and chicken satay (240 calories). Four bite-size spring rolls deliver about 240 calories, but because they’re deep-fried they deliver much more fat. 3) False. Okay, it’s fair to say that you can’t control what ends up on your dinner plate (unless you have input into the menu). But you can offer to bring a healthy appetizer or side dish that will help prevent you overeating the cheese and crackers or mashed potatoes. Plus, it’s wise to have a default position when eating out: Don’t eat the entire portion of food that’s served on your plate. Be firm with food pushers. If you don’t want to eat more – or have dessert – say no thank you, it was delicious, but you’ve had enough to eat. 5) False. Saying no to the bird’s crispy skin will save you some fat, but not a significant amount. Consider that four ounces of roasted turkey breast, with skin, has 6 g of fat. Eat it skinless, and you’ll save 3 g of fat, less than a teaspoon worth (70 per cent of the fat in turkey, by the way, is unsaturated fat). Enjoy the turkey skin if you love it and, instead, control your portion size of fattier dishes. 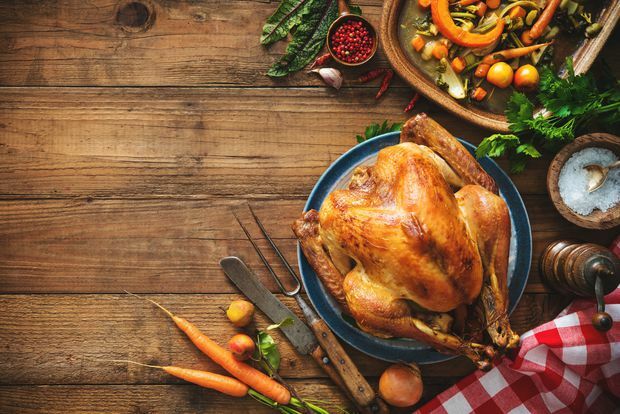 A smarter plan: Enjoy the skin if you love it and, instead, control your portion size of the buttery mashed potatoes, turkey stuffing and decadent dessert. 6) Answer: c. Pumpkin pie, even topped with whipped cream, is the winner at 348 calories. It also serves up calcium, potassium and nearly a full day’s worth of vitamin A. Fruitcake is a close runner-up at 366 calories; it’s also a good source of iron and potassium thanks to dried fruit. A slice of mincemeat and pecan pie clocks in at 477 and 503 calories, respectively. 7) False. Truth is, even avid exercise won’t stave off holiday weight gain if you overeat. But fitting some exercise during the busy holiday season isn’t useless. 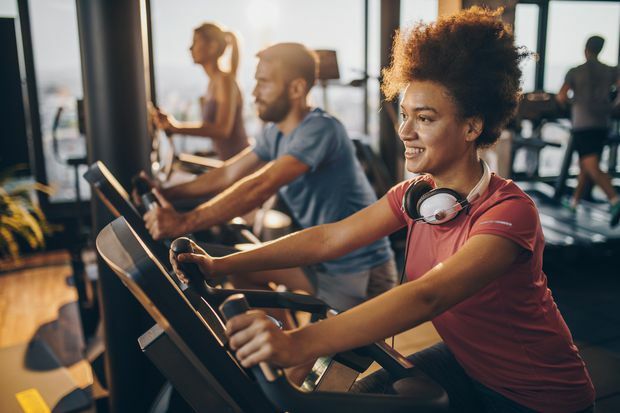 A 15-minute run, power walk or workout on the elliptical trainer can reduce your appetite, strengthen your resolve to eat sensibly and burn up to – or more, depending on your weight – 200 calories. 8) Maybe, maybe not. Research suggests that the slight weight gain that occurs over the holiday season – about one pound for healthy-weight people – accumulates year after year. The key to nipping a small weight gain in the bud is to deal with it right away. Don’t rely on a new gym membership alone to tackle holiday weight gain. You’ll be far more successful if you adjust your diet in 2019, too.